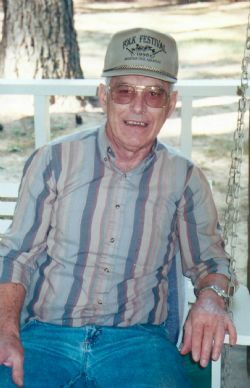 Thomas Ray Roberts, 86, passed away on September 24, 2018, in Allen, Texas. He was born in Newport, Arkansas on May 28, 1932 to James Green and Sarah Anna (Fivecoat) Roberts. After serving in the Army for two years, Tom married Berdie Jo (Gossett) and they moved to Illinois. Tom worked for Fisher Body as a tool and die maker. In 1987, Tom and Berdie retired to Searcy. Tom is survived by his children Denise (Rex) Taylor of Lucas, Texas, Thomas O. Roberts of Yuma, Arizona and Roger Roberts of St. Charles, Illinois; his grandchildren Laura (Neil) Nickell, Amy (Eddy) McBroom, Adrian Roberts, Thomas D. (Emelia) Roberts, Cara Roberts, Anthony Roberts, Daniel Roberts and Christina Roberts and 11 great-grandchildren. Tom is preceded in death by his wife, his parents and his siblings. Visitation will be Saturday, September 29, from 9:00 - 9:30 a.m. at Roller-Daniel Funeral Home in Searcy. Graveside service will be at 11:00 a.m. at the Balch-Johnston Cemetery in Balch, Arkansas.